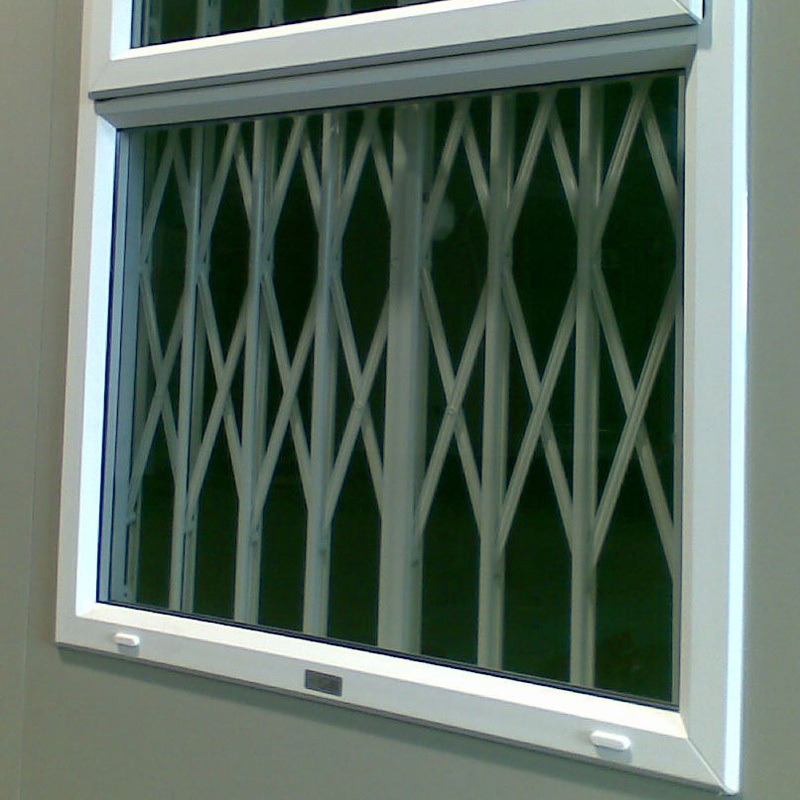 The Excalibur Grill – is an established expanding security grill providing an aesthetic solution for your security concerns, although not preventing glass being smashed, they provide a useful deterrent that can slide to the sides when the room is occupied. 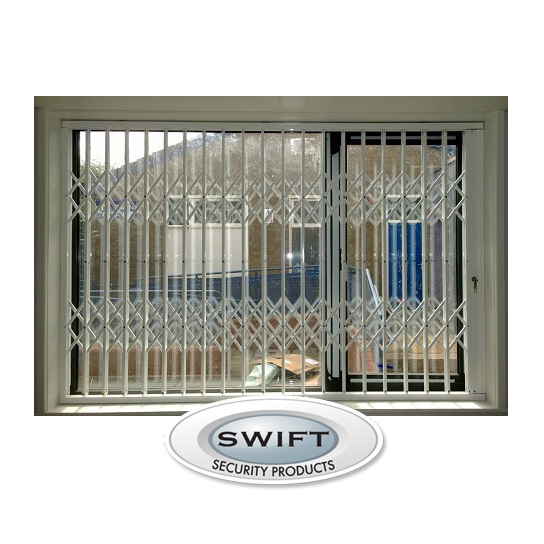 They can be lockable open or shut with a muliti-point locking system designed with the user’s protection in mind, offering maximum security. These come in a choice of colours. 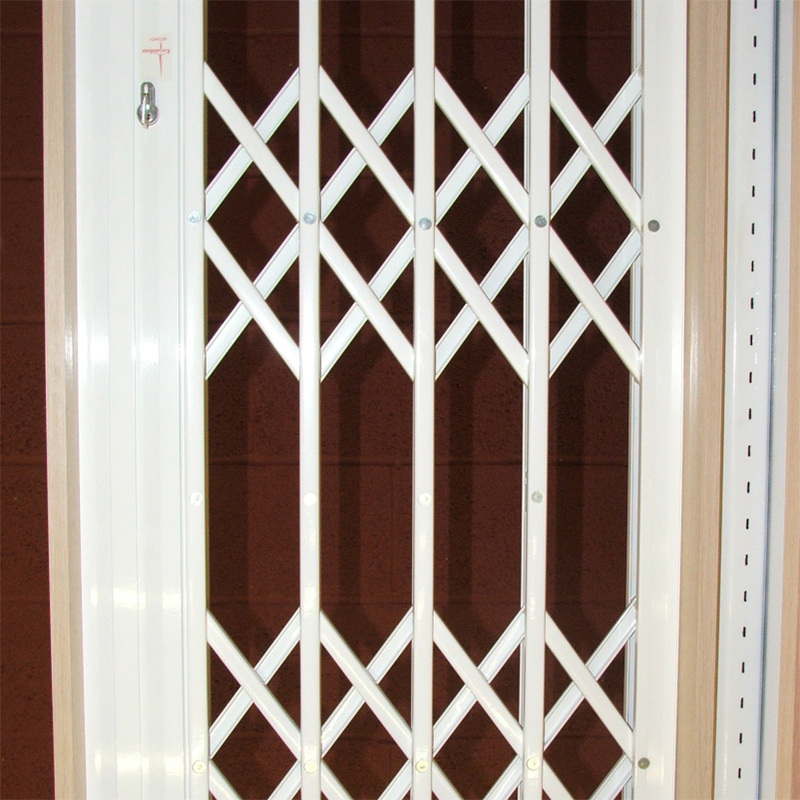 When trading, the gates can be pulled to one side to offer a welcoming impression of the business, then pulled back and locked when the premises are unoccupied.